MyProtein is a brand that does not need any introduction. The company stands as a quality when it comes to sports nutrition. It is the number one sports nutrition brand in the whole of Europe and is swiftly moving towards the other continents to provide nothing but the best to the health and fitness lovers. The company claims to be the global leader by 2020. Keeping up with its claim, MyProtein launched itself in India through its new Indian site somewhere in 2016. The company offered some super exciting discounts to get maximum attention from the Indian buyers. The Indian health enthusiasts who had been eagerly waiting for MyProtein to arrive in the country rushed in for a purchase without a delay. The launch worked in their favour largely however, one thing kept MyProtein from overtaking the market – Heavy Custom Duty. 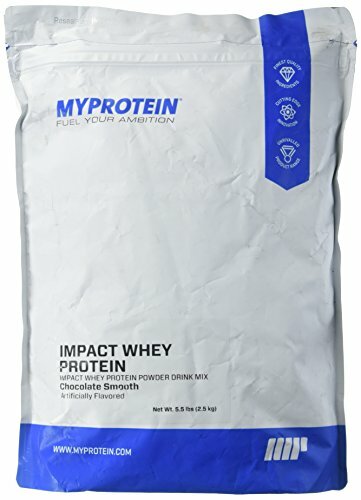 A buyer from India purchased Impact Whey Isolate (5kg) through www.myprotein.co.in for Rs.5332 after some discounts. Since the product was arriving from UK, the buyer paid an additional Rs.2265 as customs duty. So the final cost of the product came up to Rs.7597. This buyer paid a customs duty of almost 42% on this purchase. This was just one of the problem. Buyers were ok with the custom duty price being added to the whole price. But the process of paying custom duty and getting your products was also not very straight forward. It would vary from state to state in India. In some cases the product would arrive at your home and the delivery person would insist on the custom charges. However in most cases the product would be seized and kept at the custom office or at the post office. Sometime you would not even realize that your product has arrived and is pending with the customs. Once you come to know that its pending with the custom then again its a challenge to go to the customs office and pay the charges. Here again some custom officers are not clear on what is the % of custom duty to be applied. In general, buyers were paying anywhere between 40 to 60% as custom duty on their purchases and getting their product was challenging and uncertain. MyProtein had to do something about it if it really needed to rule the world of sports nutrition and the big decision finally came in Feb 2018. On 05 Feb 2018, the health lovers in India finally breathed a sigh of relief. MyProtein announced that the customers will no longer bear the burn of heavy customs duty on their purchases. Every order placed on 05 Feb 2018 after 7:30 pm IST will be customs free for the buyers. The import duties and all the other charges will be managed by the company and the buyers will only pay what they see on the website as MRP. In short, NO ADDITIONAL CHARGES! Visit MyProtein’s Indian website myprotein.co.in that allows Indians to buy using their local currency i.e. Rupees. Create a free account on this website so that you can keep a record of your purchases and update vital info. Browse through their exhaustive range, choose the products that you wish to buy and add them to your cart. Make a payment through your local debit or credit cards, net banking or even wallets. MyProtein gives you ample of paying options to choose from. Make a note that you would pay the product price and a shipping charge in case you don’t qualify for free shipping. Orders above Rs. 7999 get free shipping. For orders less than this, a standard shipping charge of Rs. 649 needs to be paid by the buyer. MyProtein takes 3 to 4 weeks or 25 to 28 working days max to deliver your product. Faster delivery options are not available at the moment. However, past records show that the company delivers well within the time frame. You DO NOT have to pay anything else on receipt of the product. No duties, no CESS, no nothing. Write to their Indian retail partner at: MSM Retail Pvt Ltd, B-123 Sector-2, Noida, Gautam Buddha Nagar, Uttar Pradesh 201301. Hope this simplifies the MyProtein ordeal for you. So go ahead and don’t let your fitness journey be burdened by customs and taxes. Get the best of MyProtein from UK delivered to your doorstep in India at reasonable rates. You could also by myprotein from indian e-commerce website such as amazon and flipkart. Here the importer would import the product in bulk and put them up for sale on these websites. The importer would have already paid the custom duty hence you would get the product at a higher price. However buying from myprotein directly ensures that you get your product directly from the manufacturer in the UK. There is no middle man in picture.